Ramee Guestline Hotel is a 3-star property that offers comfortable accomodatiosn coupled with signature style services for a memorable stay. The hotel is 3.5 km from the railway station and 17 km from the airport.Ramee offers hospitality and warmth like no other. 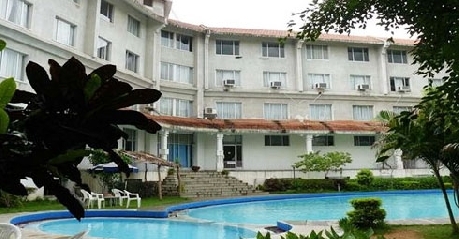 The hotel has a swimming pool on premises that is a delight since the guests can enjoy a thrilling swim here. 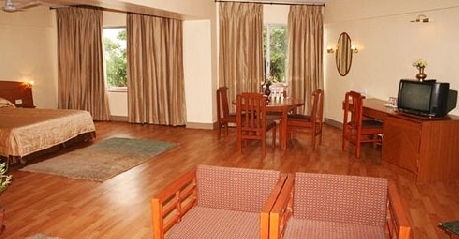 The hotel also boasts of a health club where the health conscious guests can work out and loose a few extra pounds. Sauna, jacuzzi and steam room also ensures that you have the best time relaxing in the premises. The conference halls can accommodate 250 to 1000 guests easily and offer themselves as perfect venues for any wedding, event or conference. 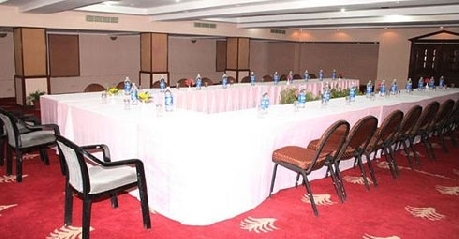 The services offered are internet connectivity, laundry services, travel desk, business center and parking on site. 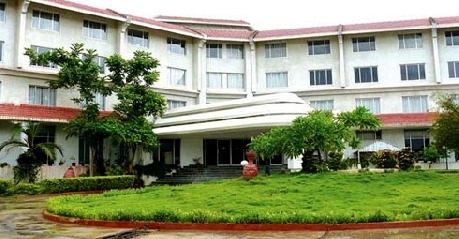 The hotel offers 92 elegantly appointed rooms that are categorized into Suite Room, Family Room and Club Room. Maurya is the in-house multi-cuisine restaurant. Suites are elegantly appointed and stylish in design. These rooms comprise of a living room, master bedroom and a bathroom. 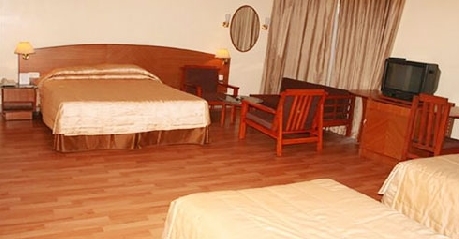 The amenities offered are satellite T.V, direct dial telephone, DVD Player (chargeable), dental kit, shaving kit, fruits basket, cookies, newspaper, mini bar, in-room safe, internet connectivity and tea/coffee maker. The attached bathroom comes with bath linen, shower cubicle and complimentary toiletries. 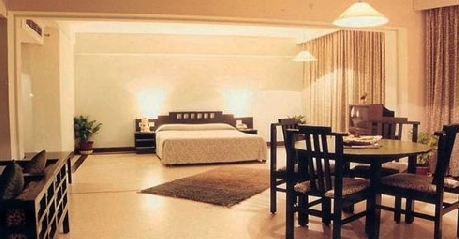 Family rooms offer a luxurious stay that is at the same time comfortable and pleasant. These rooms are done with contemporary style in mind that is charming to the eyes. The amenities offered are direct dial telephone, safe, satellite T.V, mini bar, newspaper, fruits basket and cookies and internet connectivity. The attached bathroom is supplied with running hot/cold water, shower cubicle, bath linen and toiletries. Club Rooms are available in two categories of double or single rooms and one can choose according to their individual preferences. These rooms come fully furnished with modern furniture that is chic and stylish. The amenities offered are internet connectivity, satellite T.V, newspaper, safe, fruits basket and cookies. The attached bathroom is supplied with hot/cold water, bath linen and toiletries. Maurya is the multi-cuisine restaurant that offers a relaxing environment and food to make your senses go wild. The restaurant offers North Indian, Chinese, South Indian and snacks. The service is hospitable and prompt. The chefs will leave no stone unturned in making sure that your stomach and yr sense leave feeling happy and satisfied.